Summer is officially here and so is the time when protecting our skin from the sun should be our main priority! 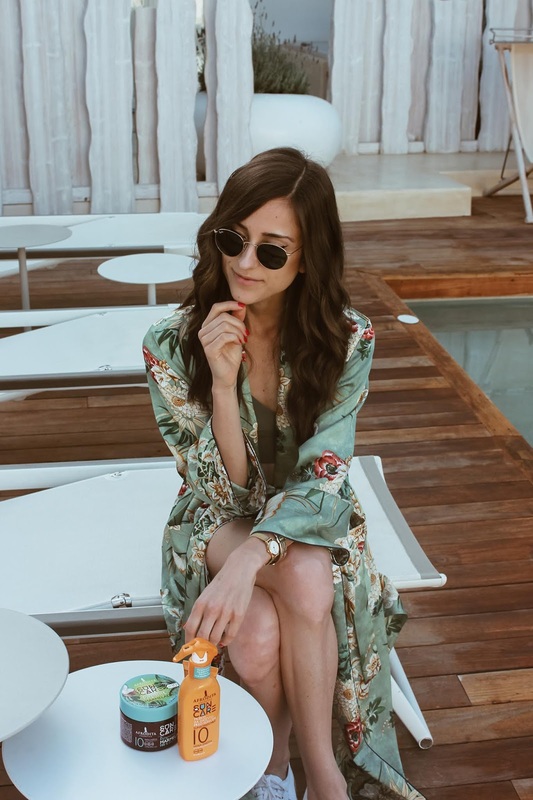 Keeping our skin safe from sunburn and photo-aging is what we all should consider while enjoying these hot summer days, so because of all that, during my first summer trip to Greece, I brought along Afrodita's Sun Care line products. SUN CARE products contain a highly effective combination of UVA and UVB filters and a range of ingredients such as walnut, carrot, coconut oil, vitamin E, etc. without any parabens or petroleum jelly, they have no added colouring and they became my go-to summer products. Starting with a simple, basic sunscreen milk, that not only protects the skin, but what is the most important for me, it also hydrates the skin and it is absorbed really quickly. If there's one thing I hate when it comes to sunscreen products it is when they take forever to absorb, leaving you with that heavy, sticky feeling! So I'm really glad Afrodita took care of this and Sun Care sunscreen milk will be definitely my first choice this summer, together with Sun Care facial sunscreen sensitive of course, as protecting the face is as equally (if not even more) important! But of course I love me some tan and Afrodita is back with one of their revolutionary products Sun Care tropical Marmelada. I'm sure all of my Slovenian readers are well aware of this product, but to sum it up, Marmelada or "Jam" provides a safe, fast and thorough way of getting tanned. 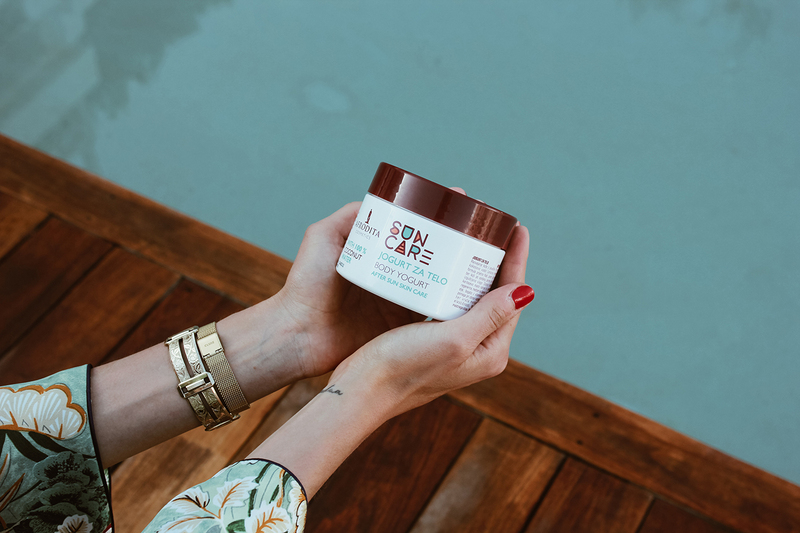 The new updated version contains SPF 10 and is full of rich, natural ingredients such as 100% organic coconut oil, shea and cocoa butter and carrot extract. It feels and smells amazing (seriously, you will want to eat it!) and for what is more it moisturises and nourishes the skin, leaving it super soft. And let's face it, what is the most important and proved, it helps getting tanned much much faster! Last, but definitely not least and what would have to be one of my favorite products, we have the so called Body Yogurt. When I was little, whenever I got sunburned my mom would have me put on a yogurt and this was basically Afrodita's main inspiration for this product. The product itself truly reminds me of yogurt, having a great light formula that is based on coconut water which cools and calms the skin and resorts lost moisture after sunbathing. For me, the winner would have to be its texture, it's so light and fluffy, leaving your skin feeling so incredibly soft and nourished, I actually continued using it when I got home as my everyday moisturiser! 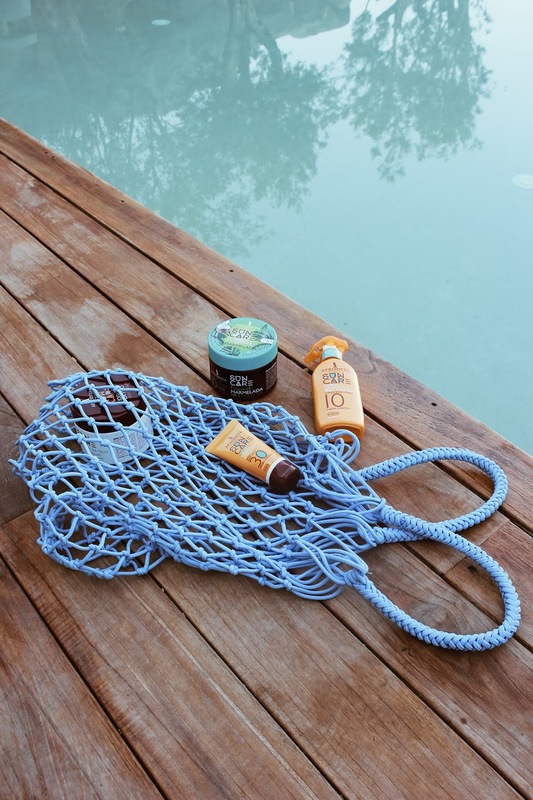 So here we have it, Afrodita's Sun Care line, that really truly impressed me, I stand behind each and every product 100% and I'm really proud to share them with you, especially since Afrodita is a Slovenian brand which makes it even more special!